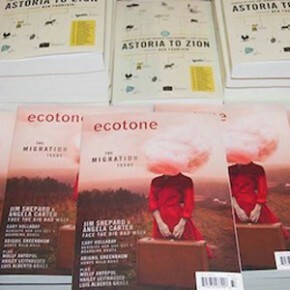 Do you follow @ecotonemagazine on Instagram? 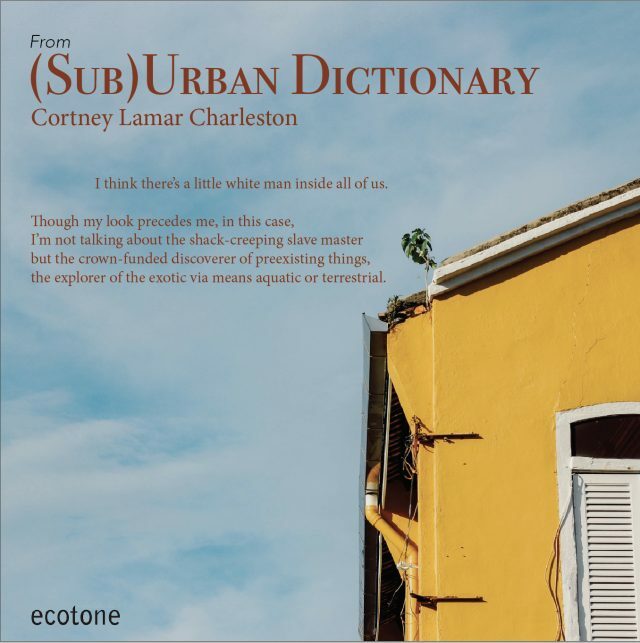 Head over to read Cortney Lamar Charleston‘s poem (Sub)Urban Dictionary, shared in a series of gorgeous broadsides designed by Ecotone staffer Ashley Monique Lee. The poem originally appears in Ecotone 24, our still-hot-off-the-press Craft Issue. Remember: leave lots of room in your boes and bags for bookfair acquisitions, apply and reapply sunscreen, and hydrate! See you in Tampa. 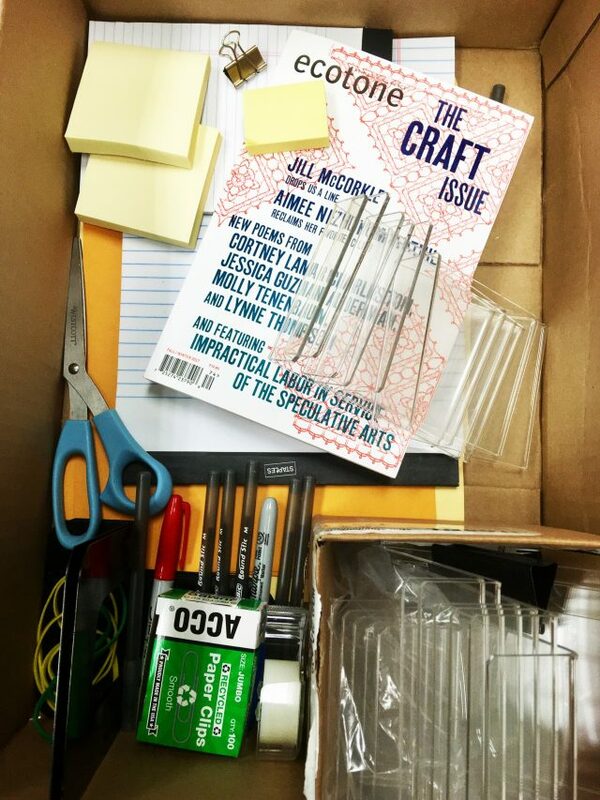 Craft shaped by place; place shaped by craft—how our inner and outer environments influence how, what, and why we create. Guilds and apprenticeships. Sewing circles and solitary work. So-called high craft and so-called low. Craft as and in companionship. Craft as community. State fairs. The fiction, history, poetics of witchcraft. Craft and technology. Making and destruction. Form and function, beauty and ugliness. Spacecraft, aircraft, watercraft. Gender and craft. Race and craft. Queerness and craft. Craft traditions under threat (by lack of attention or too much of it), and traditions in the process of being revived. Craft as resistance. 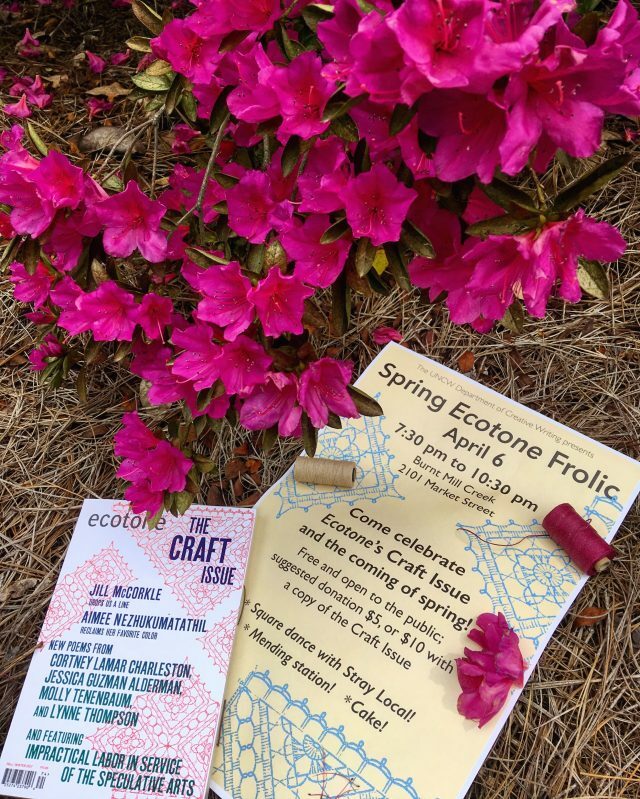 Craft as activism. Metalsmithing, embroidery, signpainting; cocktails, baking, fermentation; amphibrachs, bops, Oulipian constraints. Rhetorical strategy. Ars poetica. The craft of writing. Of editing. Craft as a means of resilience, of cultural and bodily survival. Cleverness, craftiness, smarts. The narrative possibilities thereof. The clues for keeping on therein. We need your craft now, writers. Please send work that is traditional or experimental, but above all, excellently made. To ensure that we are able to consider your submission, please review our complete guidelines before sending it. We may read with unthemed issues in mind as well; still, if you are thinking craftwise, be sure to mention the theme in your cover letter.